Denominations range from of 0.01 up to 10.00 per payline bet. 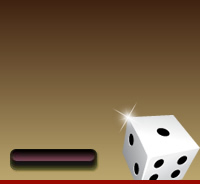 The minimum bet amount is 0.01; the maximum is 200.00 per spin. The Wild symbol replaces all other symbols, except the Scattered Bonus symbols. The Diamond Queen Wild symbol appears only on Reels 2, 3, 4, and 5 in the base game. The Wild does not activate the Free Spins Bonus game. The Scatter symbols appear only on reels 2, 3, and 4. Any 2 Mystical Diamond Bonus scatter symbols will pay 2x the total bet. When 3 Bonus Scatter symbols appear on the centre Reels 2, 3 and 4 at the same time, the Mystical Diamond Free Spins Bonus game will be activated. 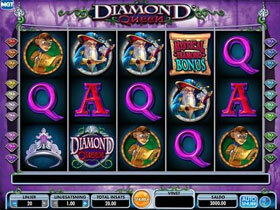 Land 3 Mystical Diamond Bonus symbols on reels 2, 3 and 4 to receive 3 Free Spins. Whenever the Extra Spin symbol appears on Reel 1, an extra Free Spin will be awarded. An additional 20 Free Spins can be won in the bonus feature. That’s 23 Free Spins!